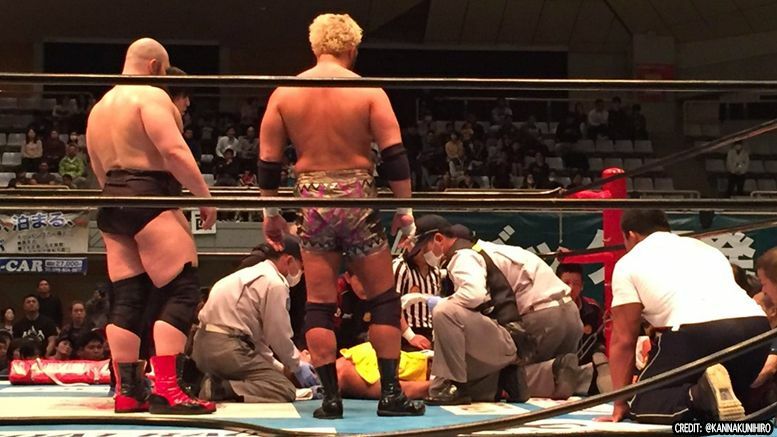 New Japan Pro Wrestling veteran Tomoaki Honma had to be stretchered out of an event on Friday after suffering a severe injury during his match. Honma was competing in a six-man tag match alongside Togi Makabe and Michael Elgin against Jado, Toru Yano and Tomohiro Ishii when the incident occured. According to those in attendance … Jado hit the 40-year-old with a DDT late in the match, but the wrestler landed wrong due to one of his feet being caught in the ropes. He then became unresponsive. Doctors immediately checked on Tomoaki and he was put on a stretcher, then taken to a hospital.